Icron’s Raven 3104 USB extender pushes the boundaries of USB extension. The USB 3-2-1 extender offers you a 4-port USB 3.1 over CAT6a solution that can extend USB up to 100m. As an industry first, this extender is backwards compatible with USB 2.0 and 1.1 devices for simultaneous use at full 5Gbps bandwidth..
Icron’s Raven 3104 USB extender pushes the boundaries of USB extension. The USB 3-2-1 extender offers you a 4-port USB 3.1 over CAT6a solution that can extend USB up to 100m. 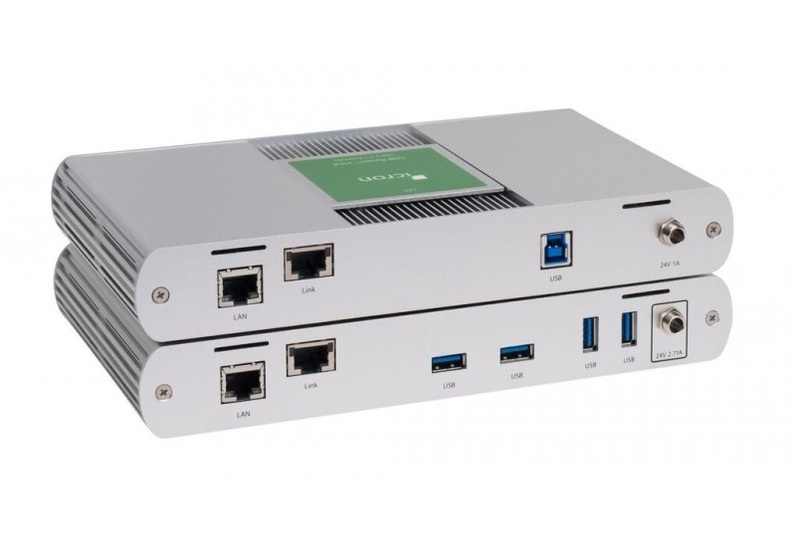 As an industry first, this extender is backwards compatible with USB 2.0 and 1.1 devices for simultaneous use at full 5Gbps bandwidth. 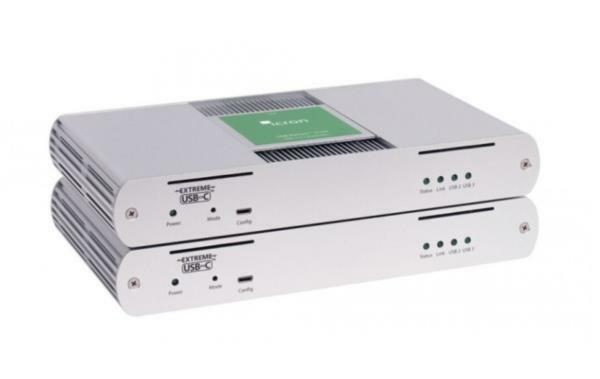 Additionally, the Raven 3104 includes an Ethernet pass-through for connecting to network enabled devices, or for use with existing infrastructure without losing LAN connectivity. Making this suitable for remote storage, security and monitoring and video matrix systems. With Icron’s patented technology, ExtremeUSB-C, the USB 3-2-1 Raven 3104 provides transparent USB extension, true plug-and-play functionality and works with all major operating systems (Windows, MacOS and Linux).